Examining the usage of power units can help understand which manufacturers are ahead and which one are falling behind in terms of reliability. The powertrain elements include the internal combustion engine (ICE), the turbo charger (TC), motor generator unit by heat (MGU-H) and the kinetic motor generator unit (MGU-K). In the 2018 F1 season, drivers could use 3 ICE, 3 TC, 3 MGU-H, 2 MGU-K. 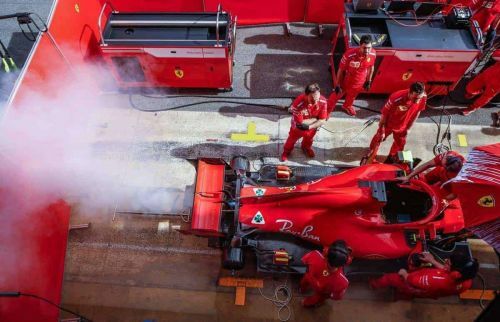 Since Ferrari, Mercedes, and Renault supplied 3 teams each, the maximum units permissible before grid penalties came into effect were 18 ICE, 18 Turbo Chargers, 18 MGU-Hs, and 12 MGU-Ks. This year, the Ferrari horsepower finally caught up and even surpassed the Mercedes after trailing in power output for long. For Mercedes, Valtteri Bottas used more than his quota of 3, with Lewis Hamilton, Sergio Perez, Esteban Ocon, Sergey Sirotkin and Lance Stroll all having a reliable run with their Mercedes engines. Marcus Ericsson for Sauber used 4 Ferrari engines. Renault were plagued with blown engines with the factory team using 9, the same as Red Bull duo of Verstappen and Ricciardo, while McLaren used 8 instead of their allotted 6. Honda, which ran this year effectively as a test year smoked through 16 engines, evenly split between Pierre Gasly and Brendon Hartley. While Honda gained speed, the lack of reliability was painfully obvious. Renault engines made incremental gains, but no quantum leaps.